Field trip is an annual activity students in Thailand enjoy. That being said, foreign teachers are normally asked to tag along for free. But among all the trips I had with my students, nothing beats the enjoyable experience they had at Safari World in Bangkok! "Safari World is Thailand's greatest open zoo and leisure park that offers a great variety of entertainment for everyone. 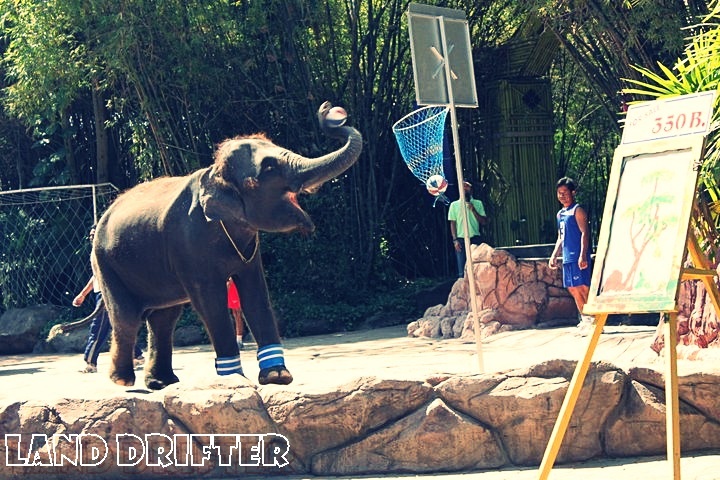 Whether it is an exciting safari drive through the picturesque African wilderness, an intimate encounter with our friendly dolphins, or an exhilarating fast-paced action stunt spectacular, Safari World has it all," says Safari World in its website. 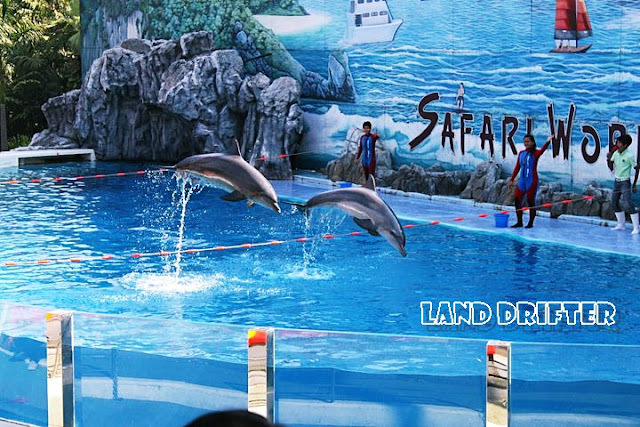 This 8 km long park which opened in 1988 is divided into two areas, Safari drive thru park as well as the marine park where animal shows are being offered. There I've met super friendly orangutans acting out a scene in a boxing ring. Not only these apes were great entertainers, they were hilarious, too. I was laughing the entire time watching them. "The Dolphin Show" was also fun and shouldn't be missed especially if you have kids in tow. Kids will be in awe as the intelligent mammals somersault in the air in a synchronized motion. If you wish to see wild animals like lions, tigers, etc. in their natural habitat, you can hop in Safari drive through. It is driving in a 5 km Safari like wilderness which also gives an opportunity to take photos of the animals in their natural habitat. Other shows you can enjoy are Sea Lion show, Elephant show, Cowboy Stunt show, Spy War, bird show and Tiger feeding. Trust me, they are all entertaining. Safari Park opens from 9 am to 5 pm while the Marine Park opens from 9 am to 6 pm. Since my school covered my entrance fee, I didn't ask how much. But a little Google search gave me this. Safari World and Marine Park can be visited separately or together. Prices charged at the park ticket counters are as follows. Entrance fee to Safari World is 1,000 Baht for adults, 900 for children. Entrance fee to Marine Park is 1,200 Baht for adults, 1,000 for children. Entrance fee for both (combined ticket) is 1,400 Baht for adults, 1,100 for children. Entrance fee for both (combined ticket) including buffet lunch is 1,800 Baht for adults, 1,450 for children. River Safari Ride (in Marine Park) 350 Baht per person. Children under 140 cm tall are eligible for child rate, entrance for children under 100 cm is free. 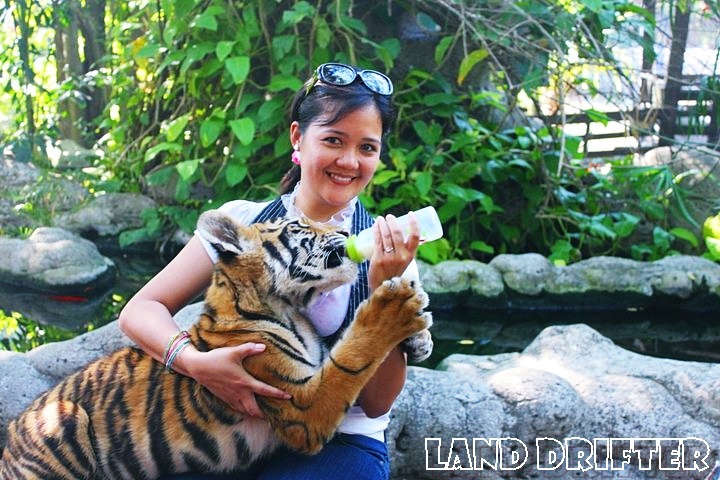 Safari World is located at 99 Panyaintra Road, Samwatawantok, Klongsamwa. You can take buses with numbers 26, 71, 96 and 501 to Fashion Islands Island. 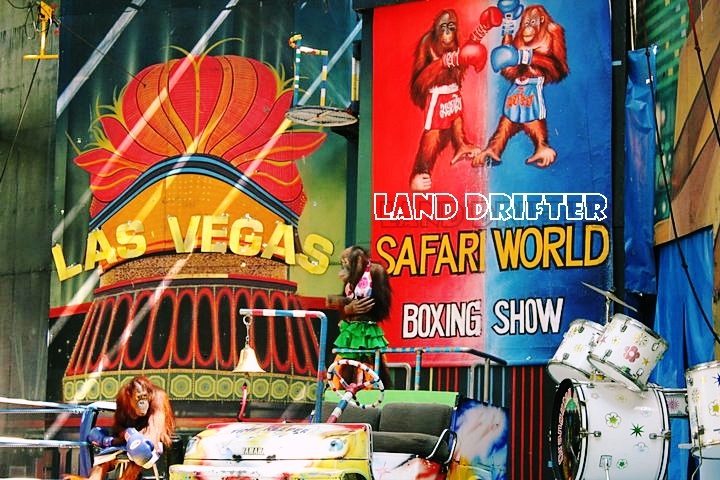 From there, take a taxi to Safari World.